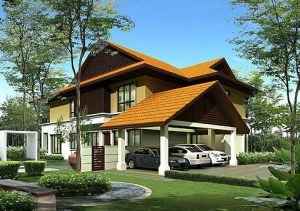 An artist impression of bungalow units in Alam Impian, Shah Alam. PROPERTY developer I&P Group Sdn Bhd is looking forward to a busy fourth quarter this year, as it is planning to launch properties with a gross development value (GDV) of RM778mil across the Klang Valley and Johor. About 96% of the RM778mil GDV consists of residential properties ranging from double-storey terrace and semi-detached units to serviced apartments. The group, a wholly-owned subsidiary of Permodalan Nasional Bhd (PNB), is known for the successful developments of projects such as Bukit Damansara, Bandar Kinrara, Alam Damai, Alam Impian, Alam Sari, Temasya Glenmarie and Bandar Baru Seri Petaling in the Klang Valley as well as Taman Pelangi and Taman Perling in Johor. The group’s managing director Datuk Jamaludin Osman says the property developer is on track for another year of strong financial performance, after achieving sales of more than RM1bil last year. As an example, Jamaludin cited the group’s launch of 40 units of shop-offices on a 3.89-acre site in Bandar Baru Seri Petaling, Kuala Lumpur in July. Priced from RM2.5mil to RM8.5mil, the 28 units of 3 storey shop-offices and 12 units of 4 storey shop-offices were sold out in a day. The total GDV for the 40 units offered for sale was RM143mil. In April this year, the group launched 26 units of double storey semi-detached homes and 100 units of double storey terrace homes at its 545-acre freehold Bayuemas, Klang township. The semi-detached homes, with built-up areas ranging from 2,561 sq ft to 3,045 sq ft, were priced from RM692,888 for an intermediate unit to RM951,888 for a corner unit. The double-storey terracehouses, with built-up areas from 1,863 sq ft to 2,048 sq ft, were priced from RM388,888 to RM515,888. The double storey semi-detached and terrace units have a combined gross development value (GDV) of RM60.53mil, and to date, has seen take-up rates of 73% and 87% respectively. The group’s largest township development in the Klang Valley is Bandar Kinrara, Puchong which is on 1,904 acres of freehold land. Launched in 1991, Bandar Kinrara is a matured township with double-storey terrace and semi-detached houses and bungalows as well as an 18-hole golf course that is opened to the public. Earlier this year, 118 units of freehold Q’Aseh double-storey superlink homes priced from RM945,888 to RM1.79mil with built-ups ranging from 2,799 to 3,778 sq ft were launched in Bandar Kinrara. Also launched were 14 freehold units of Chantek double-storey semi-detached houses priced from RM1.83mil to RM2.58mil with built-ups ranging from 3,097 to 3,579 sq ft. The GDV for the Q’Aseh and Chantek units is RM163mil. To date, the take-up rate for these units is 69% and 21% respectively. Another highlight is Alam Impian, which features a ‘Township of the Arts’ concept, in Shah Alam. Sited on 1,235 acres of freehold land, Alam Impian was launched in 2006 and will have 10,000 homes with an estimated GDV of RM5bil when completed. Conceived as a platform for the arts, Alam Impian houses a gallery that doubles as workspace for artists as well as a riverside amphitheatre for performing arts. To date, about 1,200 units have been launched in Alam Impian and 418 units have been delivered. “The response has been good for our recent launches which consisted of double-storey terrace houses priced around RM700,000 per unit,” says Jamaludin. More than 900 acres in Alam Impian remains to be developed, with double-storey terrace and semi-detached houses and bungalows in the pipeline. Jamaludin says I&P Group has a remaining land bank of 5,173 acres for future developments in the Klang Valley and Johor. Upcoming projects include development on a 400-acre site near the Klang Sentral bus terminal and Bandar Setia Alam, a 300-acre plot in Salak Tinggi, Sepang and a 333-acre site in Nusajaya, Johor. 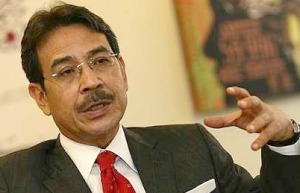 Jamaludin says the group’s focus will remain in the Klang Valley. In Bandar Kinrara, there are plans for serviced apartments, semi-detached homes and bungalows on the remaining 400 acres of undeveloped land. A serviced apartment development is also in the pipeline at the 641-acre Alam Damai township in Cheras. Concerning the group’s Tesmasya Glenmarie mixed development, which spans across 231 hectares in Shah Alam, Jamaludin says there are plans to launch 154 units of double-storey super-link terrace homes with a GDV of RM189mil at the end of this year.